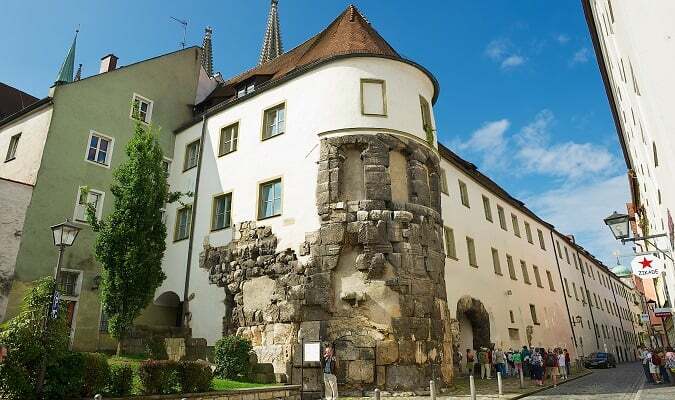 Regensburg is a city in Germany located in the state of Bavaria. It is composed of numerous churches and aristocratic houses from the 13th and 14th centuries. 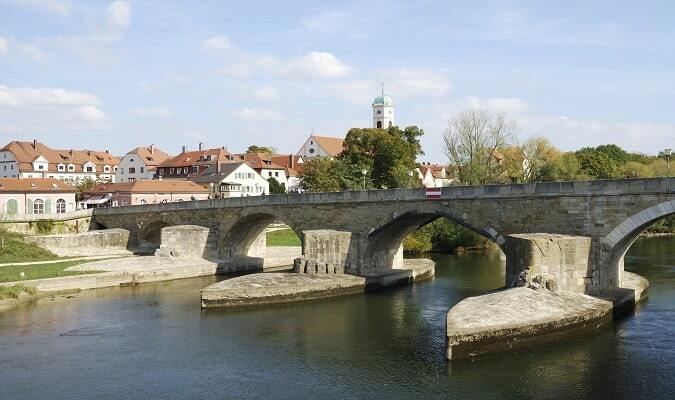 The Steinerne Brücke is a 310-meter-long bridge, a medieval engineering masterpiece exclusively for pedestrians. It offers beautiful views of the Danube. The Dom St Peter is a symbol and most important church in Regensburg. It is the first example of Gothic architecture in the Bavaria. The Altes Rathaus is a complex of 3 buildings dating to the 13th century. There are guided tours to the torture chamber and imperial meeting room. The Alte Kapelle is a church rebuilt in the 18th century in Rococo style of the Bavaria. The Neupfarrkirche is the oldest Reformed Lutheran Protestant church in Regensburg. It is considered as a starting point for the spread of the Protestant faith from the north to the countries of south-east Europe and the Balkans. The St Emmeram was built during the Carolingian period in the 8th century and was given Baroque characteristics by the Asam brothers in the 18th century. The Praetoria is a gateway dated 179 AD. Giant blocks of stone were used for its construction. The Eurostars Park Maximilian Regensburg is located close to the Central Station. The hotel has 54 rooms equipped with a flat-screen TV, safe, minibar. The Goliath am Dom Regensburg is located close to the cathedral and Steinerne Brücke. Rooms are equipped with a flat-screen TV, safe, minibar. 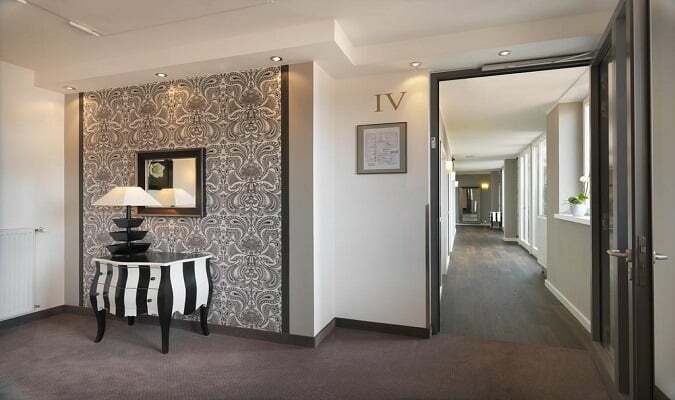 The Mercure Regensburg is located on the banks of the Danube, a 10-minute drive from the city center. Rooms are equipped with a flat-screen TV, minibar, work desk. The Donau Einkaufszentrum is located 2,2 km from the Praetoria. Brands: Esprit, Eterna, Gerry Weber, Mango. 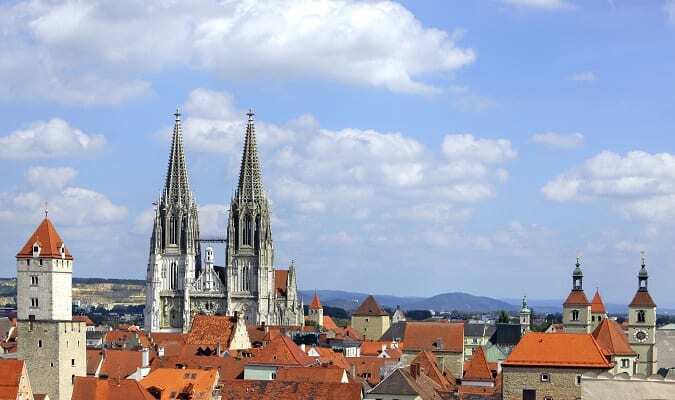 Regensburg has easy train access from various cities in Germany. Famous cities nearby: Munich, Nuremberg, Bamberg, Würzburg.